Nothing quite like your own mini cake all to yourself! I've been a fan of mini/single serving dessert recipes for a while now. You can just whip up enough for you = no temptations with the rest of the batch if there is only one serving! 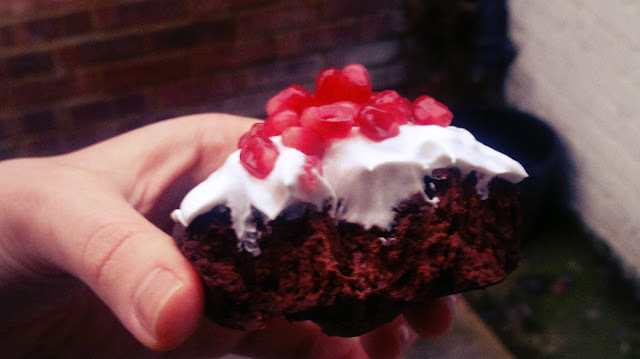 So with Valentine's Day in mind and after many failed attempts I have finally got this little delicious treat right! 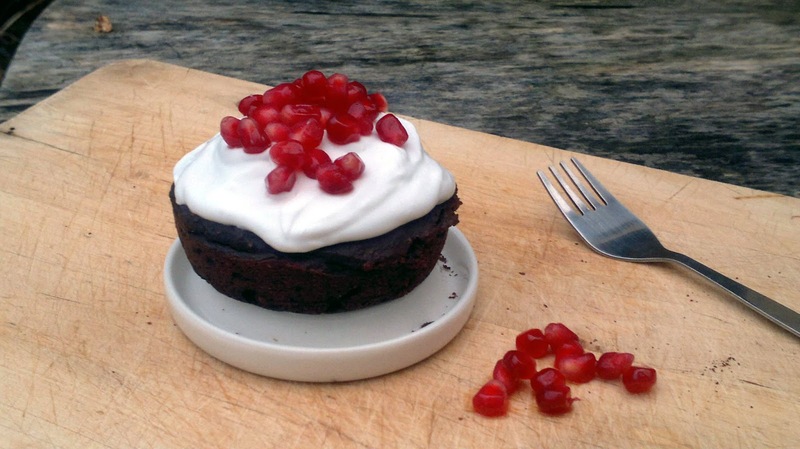 A chocolate cake for one topped with vegan cream and pomegranates. Why not make it for your Valentine or show yourself some love and make it for YOU. I always love receiving something a little more personal where you can see effort has been made. So I urge you to try this out, it's so good! Preheat oven to 180C and lightly oil a ramekin dish. In a small bowl or even a coffee cup mix all the dry ingredients together. Make sure they are really combined well. Add in wet ingredients and mix through. Just add 3 tbsp of water first and then a fourth if needed. Fold into the ramekin and level out with a spoon. Place in the oven for 13-16 minutes. Mine took 15 minutes. Make sure you check the center with a fork, it should come out clean if it's ready. Top with vegan cream, about 3 tbsp did the job, and something pink/red for Valentine's Day like strawberries, raspberries or pomegranates. Obviously I opted for some self love and make it for myself. YUM. How do you feel about Valentine's Day? I don't believe in putting pressure on the day but it's a nice reminder to show the one you love some appreciation. 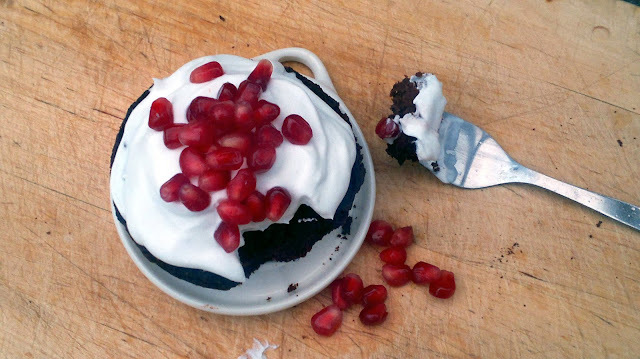 I couldn't agree more--we each deserve our own individual chocolate cakes at Valentine's Day! :D Thanks so much for linking up this lovely recipe to Wellness Weekend. Yum! And I hope you have a great V-Day! Thank you Ricki, thanks for having me :-) Hope you have a great V-Day too!